I signed up for the #100happydays challenge on Tuesday, September 22nd — shout out to Shaundrika for introducing it to me! I am a pretty happy person to begin with, so I’m not completing this challenge to become happy. I’m already happy. 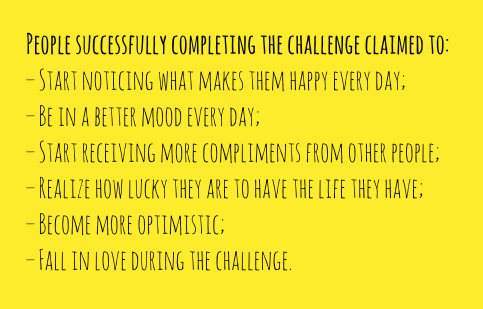 Reason #1: I decided to complete this challenge to make sure that I’m taking time each day (even if it’s just once and it’s just for a second) to make sure I do nothing else but enjoy being happy. That’s it. It’s about letting myself take time for me. The first day was the hardest, because I found myself wanting to stop and take a picture of everything — every little thing — that was making me happy. Keeping myself limited to just one picture per day was initially pretty difficult, but I think it is also forcing me to slow down and fully appreciate that one thing before moving on to something else. After just a few days, I’ve already been noticing that I am happy throughout the day for lots of different reasons. The people in my life are the main reasons for my happiness, but there are also other, smaller sources of happiness that I know I don’t usually spend very much time thinking about. Sounds like a pretty good list, if you ask me! So while I’m focusing my #100happydays on some of the little things, I can also see myself doing a little purging through this process. If during these 100 days of the challenge something crosses my path and it doesn’t bring me happiness, I’m going to get rid of it. There really is no need to be surrounded by anything that isn’t purposeful or beautiful — or both, no reason to be surrounded by things that we don’t need or don’t bring us happiness. I have a pretty good feeling, because of this #100happydays challenge, I will also get closer to my goal of #moreartinmylife. And that brings me to Reason #3: I am going to try to make a photo essay or photo journal of some kind with the pictures that I take for the challenge. Maybe I will use them in a collage or publish them in some other digital format. I’m not sure. As I collect the images, I’m sure I will have a better idea of what I can create with them. 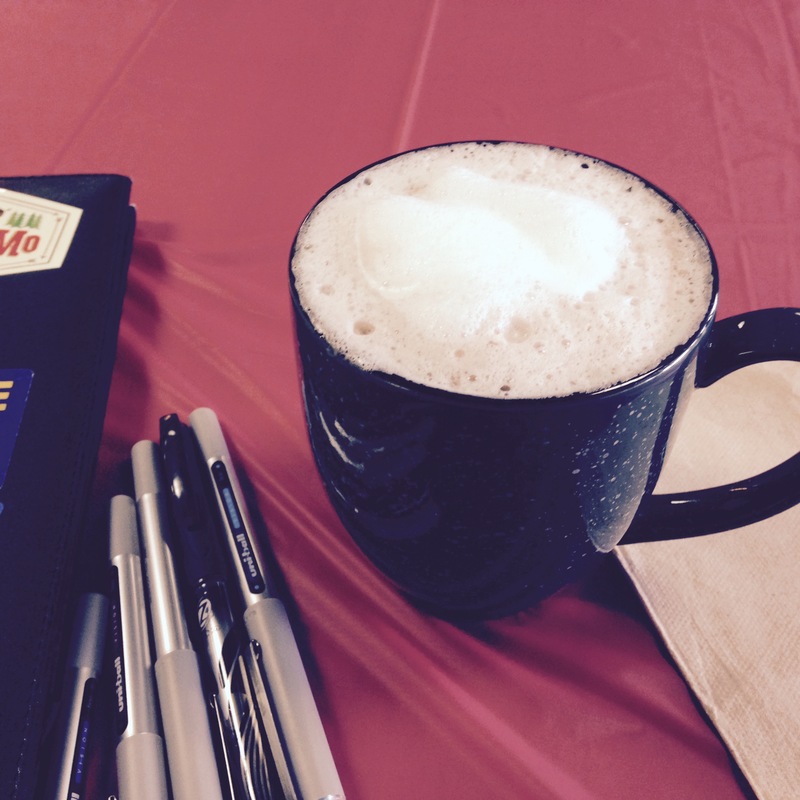 Having a few minutes to myself just to think and take some notes with my favorite pens — and enjoy a cup of pumpkin hot chocolate! 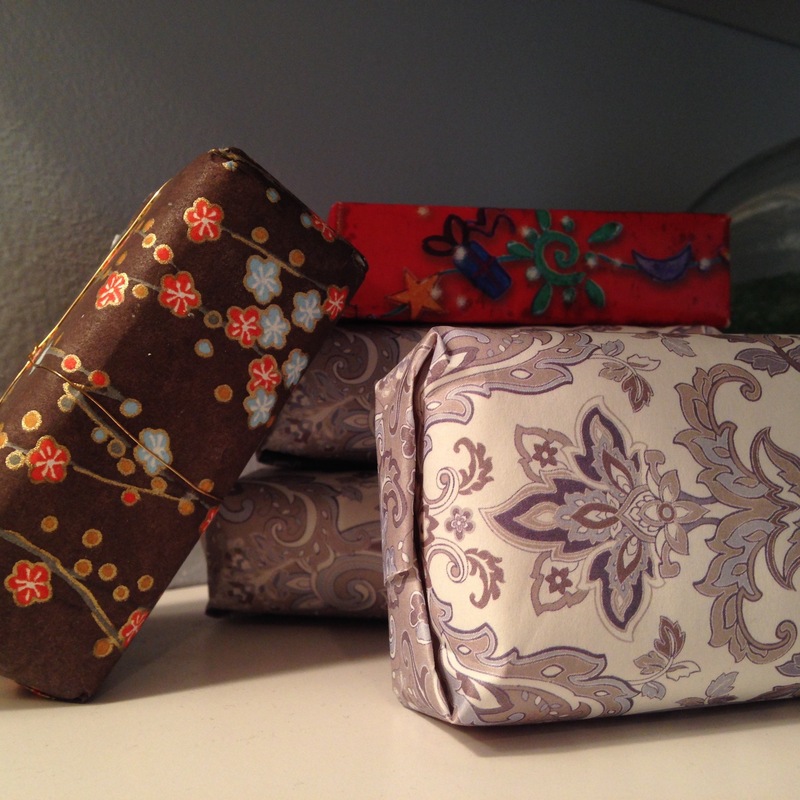 For some reason, soap wrapped in pretty paper is one of my most favorite things in the world! 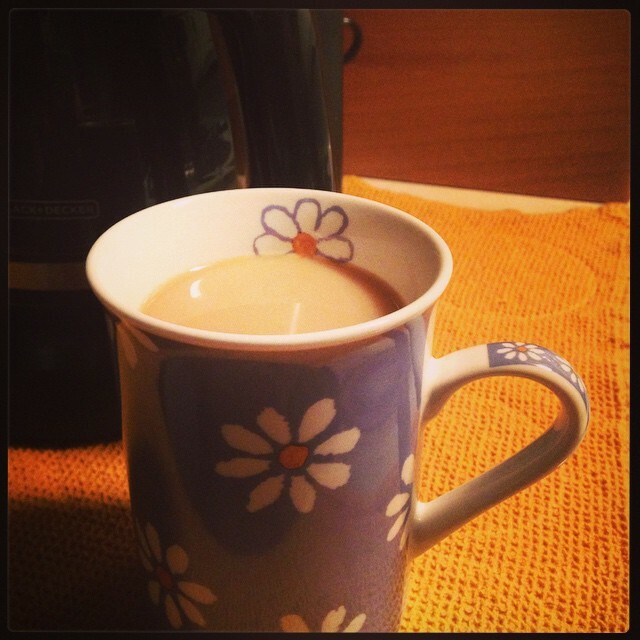 The first sip of a hot cup of coffee on a dark fall morning.